Lou Has been a dedicated and passionate instructor now for the last 7 years now with Pole Divas in Melbourne Australia, she started here as a student her self in 2006 and has grow with the company and the pole community. She has published her Pole Goals Diary and Journal for the last two years to help encourage and inspire pole people around the world and many other great pole products and merchandise. Over the last 5 years Lou has been travelling the world teaching pole including … Pole Convention in LA, Miami, DC. Pole Expo in Vegas. Australian summer pole camps in Queensland , West Australian pole camp, East Coast Pole cruise in the South Pacific, The Australian Pole Festival in Queensland and has visited many studios around the USA and Australian and will continue to travel to new places. 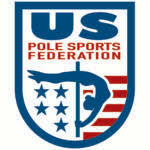 Lou has Judged pole competitions in Canada and Australia. BC Pole Fitness Championships in Canada, Victorian Pole Championships.